A few days ago I was on the beach drawing. It was early afternoon and low clouds were spilling over from the land while the sun was dazzling bright behind thin sheets of high cloud. Intermittently the sun dropped a silver sheet of light across the sea and it became difficult to see anything other than brilliant light. I have been going through the drawings I made and making these acrylics on paper from them looking to see if there is a big painting in there somewhere. 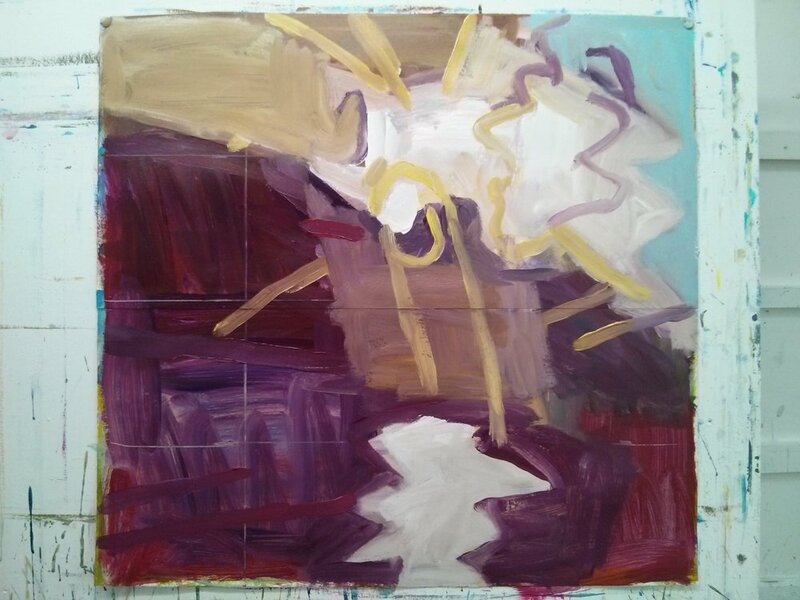 I have been laying in the colours fairly freely, pushing them about in response to each drawing then, as it starts to work, scratching in a grid and squaring up the drawing onto the wet painting.